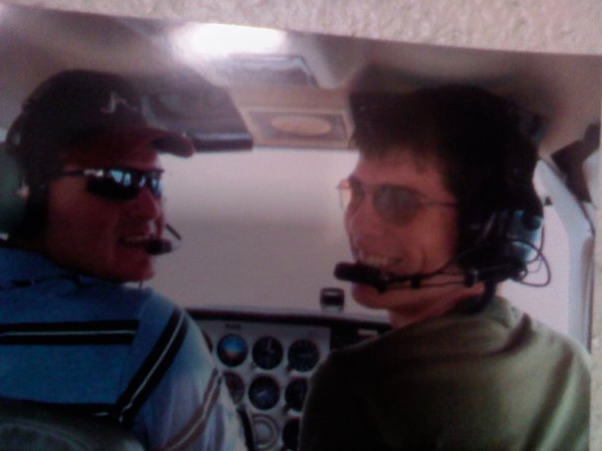 Yesterday my baby brother told me a story about the time he was in an airplane with his flight instructor. They were talking about how to fly a plane in bad weather. And more importantly, how to land a plane in bad weather. So, as an exercise, the instructor told my brother to focus on the horizon and picture it in his mind. Then he put some fog-goggles on him and told him to fly the plane. Could he still see the horizon? No. He was in the clouds. All he could see were clouds. The instructor asked him if he was still on course and my brother said yes. He was certain. Then the instructor took off the goggles. The plane was dropping 500 feet per second. They were way off course, even though my brother’s instincts told him they were steady and even with the horizon. The instructor told him this is the very time when you rely on your instruments. If your eyes can’t see the horizon for the clouds, your instruments can safely guide the plane. Even in the worst of conditions. My brother told me this story and how it relates to parents and children. Sometimes, children are in the clouds and can’t find their way. Maybe they don’t realize it at the time. But, that is when they need to rely on their instruments. Their parents. Parents are our instruments. Our moral compass. As we know, parents are not always right, but they have our very best interests at heart. Parents want us to land safely. Every. Single. Time. Parents will not steer us wrong. Parents will try to take off our goggles and help guide the wheel. Parents will give us the last parachute on the plane. That’s what parents do. So, feeling a bit nostalgic after the Thanksgiving holiday and being with my parents. They have always been my moral compass, my instruments and my parachute. Thank you to my brother for sharing this story with me and helping me remember our roles as parents. After all, we have the very best example. So, thank you to our parents for being our instruments in every possible way. As I wrap up this Thanksgiving weekend, I am truly thankful for my many blessings. My cup overflows. I am so thankful for my family. I am thankful for my loving husband and my children. You are all my compass and my instruments through this life. I value your wisdom, love and time. Thank you, thank you. Best Creamy White Spray Paint? Dr. Seuss Book for Every Occasion! Christmas Cards-How to add a personal touch!